When it comes to casino bonuses, online casinos are always trying to ensure that they provide superior deals than their competitors, as a means of getting them to sign up and play on their casino site. The online casino industry is an ever-changing one, with sites constantly trying to make improvements as a way of staying relevant in a hugely saturated market, as well as trying to capture the imagination of new customers. One of the first things you’ll notice about this industry is how fast-paced it can be and that the speed of evolution is much quicker than in others. One of the factors behind this is the fact that they’re open 24 hours a day, unlike land-based casinos, which have opening and closing hours. However, one of the main reasons why the industry is so fast-paced is because of the number of casino bonuses on offer. There are so many, and they are all different, from deposit bonuses, no-deposit bonuses, welcome bonuses and free spins. These bonuses, regardless of what they are and what type of casino games they can be used for, have helped to entice new players to join a casino online. At onlinecasino.ie, we’ve looked through and examined a wide range of casino bonuses and offers to help you decide which are the best online casinos to join and win big jackpots from. We’ve looked at the welcome bonus available on William Hill Casino, which is available to new customers and offers plenty of opportunities and rewards. New players at William Hill can take advantage of an excellent first deposit bonus up to £300 when they join the site. A first deposit bonus is exactly what it says it is, with players receiving an extra bonus on top of their first deposit on the site. Players must make a minimum deposit at William Hill Casino of £10, with the maximum bonus available standing at £300. The wagering requirements are set at 40x, while the offer is only open to new customers at William Hill. Unlike many other casinos, there is no need for a promo code at William Hill Casino. The only thing players have to do is make a deposit and download the casino software to their computer, the bonus will then be automatically credited to their account. There’s so much more than just a welcome bonus for players to enjoy when they’re playing at the William Hill site. Although primarily known as an online sports bookmaker, William Hill Casino is just as good and brings with it some extra bonuses. Their promotions page outline everything there is to enjoy on the site when it comes to casino. By visiting the promotions page, you can find some great offers, including a no-deposit free spins bonus to use on the Age of Gods slot games. There is also a daily buy in promotion, where if you spend £10, you can then play with £15. One of the most exciting advancements in the world of online casino is the introduction of mobile gambling. Mobile gaming allows players to enjoy all their favourite games and everything that a casino has to offer, whenever and wherever they want. As one of the leading online sportsbook and casino operators, William Hill has a fully functioning mobile app, so that you can play anytime, anywhere, with everything there is to love about casino gameplay. To get started on the app, you can download it from the store or you can visit the site on your desktop, scan the Android or Apple QR code and then get started. William Hill Casino regularly sends out push notifications outlining their latest news and exclusive offers to mobile players. The introduction of mobile gaming has revolutionised the gambling industry and has made gameplay much more accessible to casino-goers. When you accept any promotions, including free spins, free bets, first deposit bonuses or any other cash prizes, it’s very important to check the specific terms and conditions of the bonus before enjoying it. There are usually playthrough and wagering requirements to check before taking part. Wagering requirements are a key part of any welcome bonus. Essentially, these are requirements that players need to complete before being able to make a withdrawal from the site and unlock winnings from the bonus. William Hill Casino have set their wagering requirements at 40x for their welcome bonus, meaning that players must wager it 40 times before making a withdrawal from the site. It’s also important to read the other conditions of the bonus, apart from the wagering conditions. Some bonuses require you to only play on certain games, while some casino games have different contribution bonuses to others. 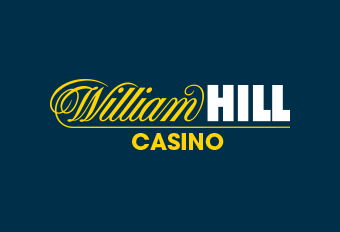 William Hill accept a good number of payment methods for their casino bonus, including VISA and MasterCard, as well as e-wallets like NETELLER and Skrill.